New for 2013, Ragin Inferno! 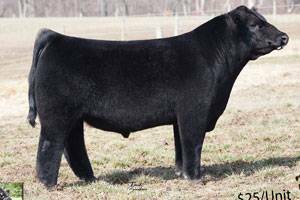 He is sired by Monopoly and his dam, 602N, is a full sister to the legendary 602G donor of Dan Sullivan's. He is true at the ground and sound. He combines volume and mass with a powerful hip. He is a full brother to Hoosier Daddy. Stemming from a cow family that has generated hundreds of thousands of dollars, creates a lot of excitement and anticipation for the future of this young sire!